Please order the sizes that you require in Canadian/US sizes. 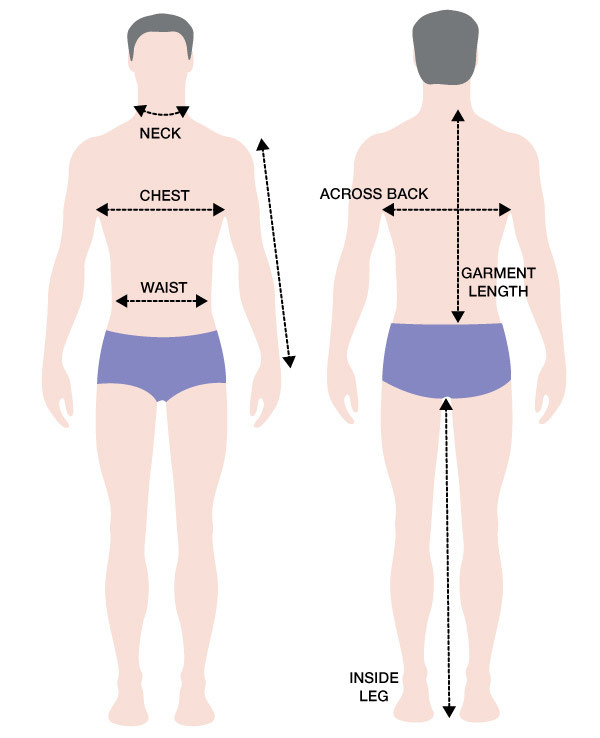 Whether garments are for ladies, men or unisex, it is important to measure each employee correctly. That way a fit as close to made to measure as possible is ensured. The tape should fit comfortably - snug but not tight. Don't worry about adding anything for movement - all our designs take this into account. Most items for women (suits, slacks, blouses, dresses, tunics, tops, vests) in our collections are in ladies sizes, not unisex, to give you better fit, so for example to order FD0500 Black asymmetric tunic, order a size 12 not sz S.
Please note that the size labels on the items ordered will be UK ladies sizes - we will convert to the US/CAN size equivalent, so you will receive a correct size. If you have any questions about a specific fit of an item, please call us on 450 443 1179. Please see the conversion chart below. Men's shirts - most shirts are sized by collar size in inches - if your neck measures 16 inches, order size 16 for your shirt. Chefs pants are usually unisex size and are a very loose/generous fit. *Size 2 US/CAN (UK 6) held in stock for selected garments only. See individual product description. Order size: Collar size ins.